With the growth in usage of internet-enabled mobile devices, the foundations for mobile commerce are now in place. This enables retailers to drive sales through mobile websites and applications. Mobile will play an increasingly significant role in customer acquisition and retention across all channels in the future. With the increase in customer purchasing on their mobile device, retailers must ensure they have a usable and compelling retail experience for their mobile users. 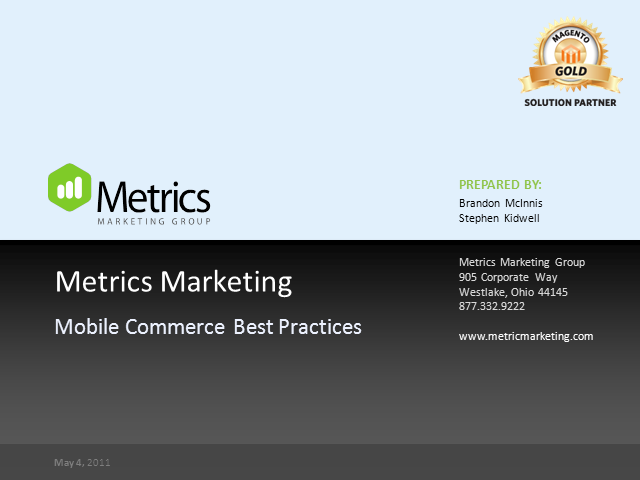 This webinar will outline some of the best practices currently being used on mobile commerce websites and applications, evaluate the mobile user experience, explain why you should have a mobile commerce site, identify market trends, and identify a multichannel opportunity for mobile commerce.